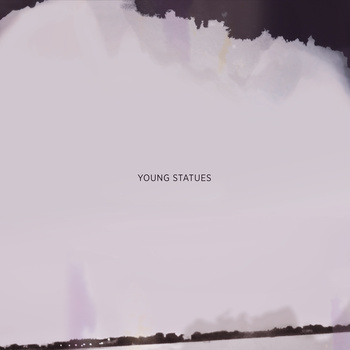 The New Jersey and Philadelphia band, Young Statues, were conceived in the winter of 2010 during a spontaneous trip to Athens, GA. The transformation of this record began at Chase Park Transduction Studios, where a group of friends recorded a series of songs, songs that, at first, were just for fun and never meant to be released. After hearing these recorded sessions, songwriter and vocalist Carmen Cirignano decided to persevere and finish working on them. It was at the Gradwell House in Haddon Heights, NJ with the help of; longtime producer and engineer Steve Poponi, bassist Tom Ryan and drummer Daniel Bogan, that these songs were transformed into this incredible debut record. The record came out November 8, via Run For Cover Records. The song Athens is all about the hard-hitting and well-performed drums. It’s also about being underappreciated, and knowing it. The song Bumble Bee is a fast pace/back and forth number and has an almost poppy sound to it, it’s about the mind games that always seem to go on whenever two people like each other. The next song, Young Statues, holds the same name as the band itself, and it possibly holds the most positive lyrics of the entire record.” I wanna take it back to as far as they would let me, I wanna climb inside and feel al the sun at my feet” and “Did I start off on the wrong foot, to end up on the right track?” It’s about instead of focusing of the negatives of your life, you realize that you are in control of your future, and that if you want something you have to go out and make it happen. We Trusted Everything Enough is amazing stripped back song. What make it more breathtaking is that half way through beautiful piano instrumentals fill up the song and take it to the next level. The song itself holds a much darker meaning; last year around Christmas time one of Carmen’s closest friends committed suicide. The song talks about how when people grow and go through these drastic changes, some can’t handle it and make this utterly foolish decision to end their own lives. It’s so much easier to just go with the flow than get rid of a certain person, habit or feeling that you can never stray away from, Keep It Dark focuses on those feelings. Even with a sound all their own, it is hard not to compare them to the great Death Cab For Cutie, and Manchester Orchestra. If you’re looking for lo-fi pop music, with a dark edge, the go pick up their debut album available now thought Run For Cover Records. Catch Young Statues on their upcoming UK tour, and east coast appearances at The Early November Reunion show.